My wife Erin has started a website called Kozak’s Classic Cinema, where she writes regularly about movies made from the beginnings of cinema up until roughly 1950. 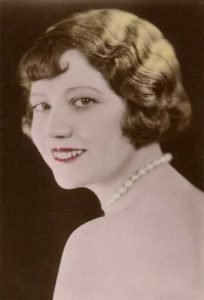 She inaugurated the site with an article on Erich von Stroheim’s silent film Greed (1925) and followed up with essays on That Hamilton Woman (1941; one of Churchill’s favorite films), It Happened One Night (1934; starring Clark Gable and the divinely silly Claudette Colbert), and The Third Man (1949). All this in under a month! Please take a look at the site, and remember to like her on Facebook or to follow her on Twitter.